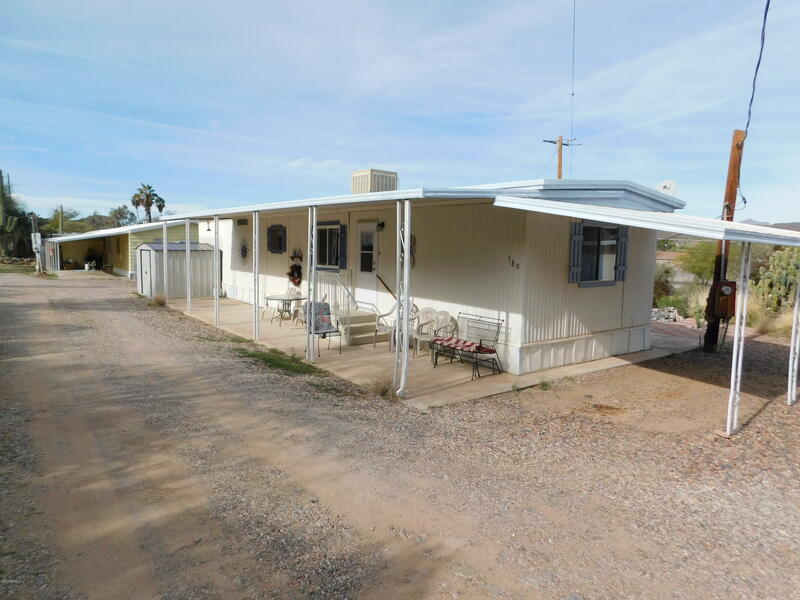 Cute two bedroom sitting along Queen Creek. Laminate wood floors in bedrooms and living room. Dual pain windows in all rooms except kitchen and spare bedroom. Home has a large covered back patio. Covered carport. Cart shed and a new shed off front porch. Water feature on back patio. Home is being sold furnished. 2014 Ezgo Golf Cart is negotiable with full price offer.